What causes cavities? Cavities are among the most common dental health conditions; however cavities can be easily prevented if you brush and floss your teeth daily. People who don’t maintain proper dental hygiene are at a higher risk of developing tooth decay and many other health conditions, including heart disease and stroke. In order to prevent cavities, it is very important to understand what factors are responsible for increasing your chances of developing cavities. 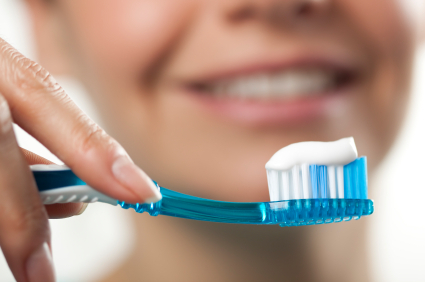 Daily brushing and flossing your teeth helps to remove plaque from your teeth and prevent tooth decay. Maintaining good oral hygiene is the first step towards reducing your risk of cavity formation. Foods that stick to the teeth are the ones that promote tooth decay. Sugars, milk, raisins, honey, dry cereal, hard candy, bread and cooked starchy foods are among the main plaque promoters. Due to concerns about the quality of tap water, a lot of people are now drinking bottled water, without knowing the fact that tap water contains fluoride, which helps protect tooth enamel from plaque formation. You can check if your bottled water has added fluoride in it. Note: Always make sure to consult with a dentist about the right amount of fluoride for children. According to a professional dentist at Brighton Implant Clinic, some weight loss diets advise eating several small meals every day instead of three big meals. But, it is very important to remember that frequent snacking will promote the formation of plaque, which will damage your teeth. Brushing the teeth after each meal will not only remove plaque, but it will also stop you from frequent snacking by making the mouth feel cleaner. In the case of receding gums, plaque can build up near the roots of your teeth. The roots of the teeth aren’t protected by enamel and have a greater risk of developing decay.